The AVS is a lag-free, FPGA-based NES/Famicom clone console from retrousb.com, that outputs a 720p HDMI signal. Please read on for all the info and features. 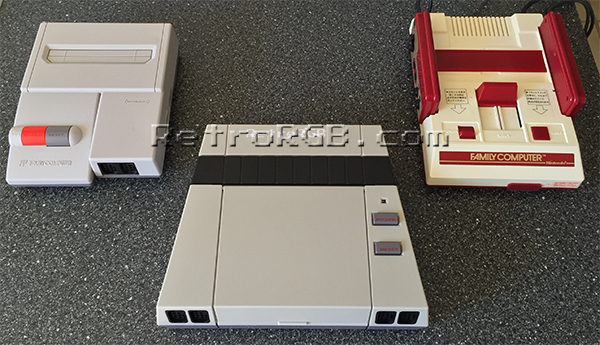 – NES Cartridges, Famicom Cartridges and ROM Carts are all compatible. 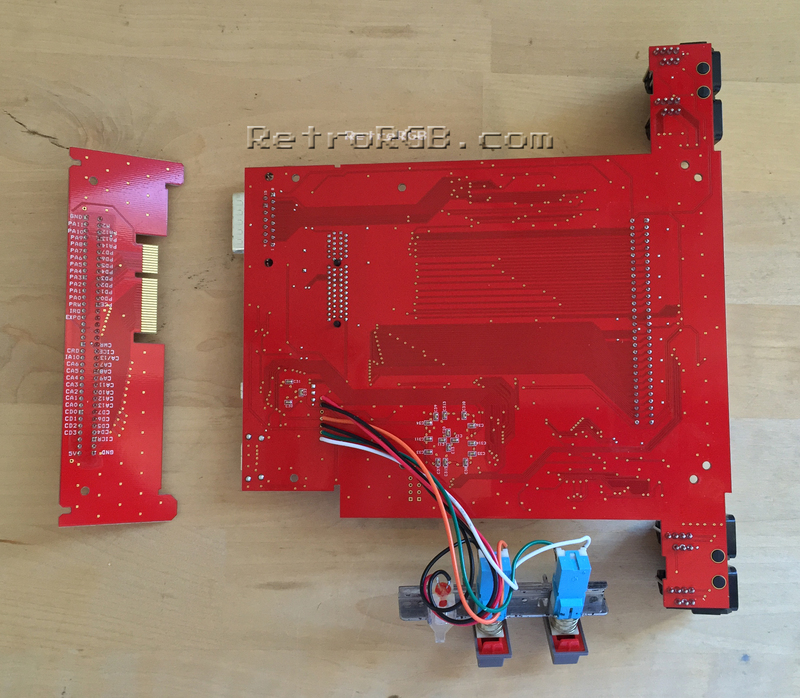 It also works with the Famicom Disk System. 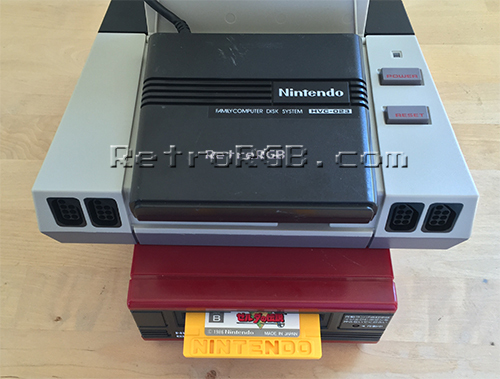 From left to right, the rear of the console has an HDMI output (720p only), a USB port used for both charging and connecting to a PC and a Famicom expansion port for use with all the peripherals. The scoreboard functionality requires the AVS to be connected to a PC. You’ll need to sign up at nintendoage.com and download the utility. The input options set which button commands access in-game features. Menu Buttons – Set the combination to return to the boot screen. Cheats – Set the combo to toggle cheats on or off. Expansion Emu – This option translates USA peripherals into the JP expansion equivalent. Turbo – Toggles a turbo feature for each button. Auto Play – Go directly to the game when powering on. Scanlines – All the way left is off, then scrolling the bar right adjusts intensity. Left Side Show – This cuts off some of the overscan “garbage” found in some games such as SMB3. 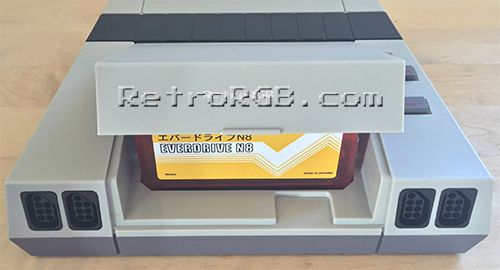 Exp Volume – This raises or lowers the volume of games with Famicom Expansion Audio. 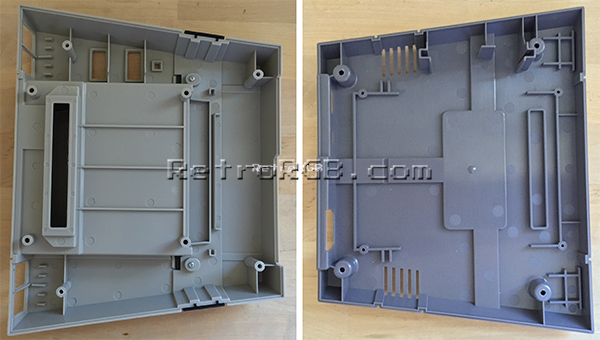 This shouldn’t be needed for original games, but could come in handy when using ROM carts. 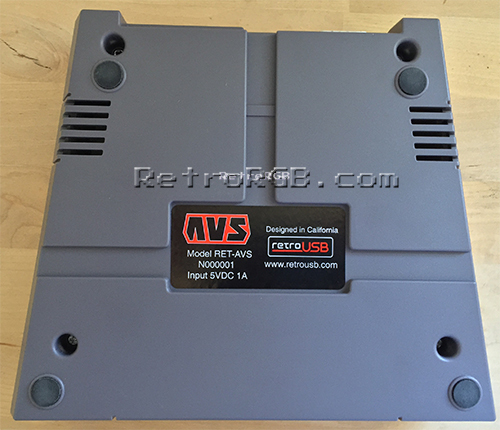 – The AVS which uses the audio from the original cart / disk. – Original Famicom modded with a NESRGB kit, including the audio board. This should give the most accurate representation of what the audio should sound like. 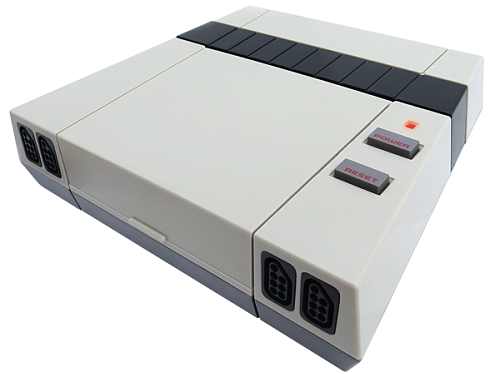 – An AV Famicom modded with the Hi-Def NES HDMI kit, which produces its own audio. For the price this thing really performs. I would have liked to see more resolution / video options, a “stereo” audio option (I really like 50% separation of the NES audio channels) and in-game access to the menu’s. All things considered, that’s not a lot of complaints and it performed very well. Also, 4K TV owners should have a excellent looking picture from the AVS, as the NES’ 240p output perfectly scales to 720p and 720p can integer scale into 4K (please see the 240p page for more details). I had great results on my 1080p plasma, but unfortunately, not all 1080p TV’s scale 720p game content well, so your results may vary. One problem I did notice with the pre-lauch firmware was occasional audio “noise”. Once I updated to the latest version, the issue went away, so (like with most tech these days) make sure to update it the day you receive it. The firmware update was painless and took less then a minute. 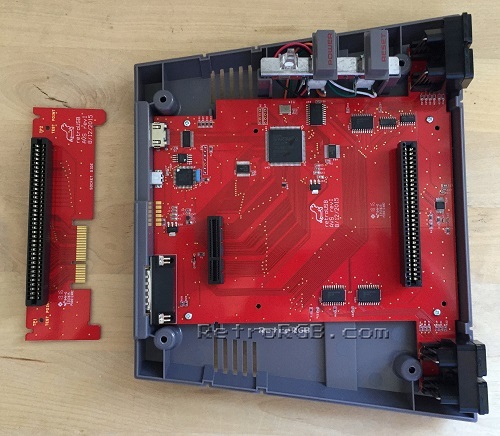 At the moment, the only other complete hardware NES solutions (not laggy software solutions like the Retron 5) that offer HDMI-output are at least twice the price. 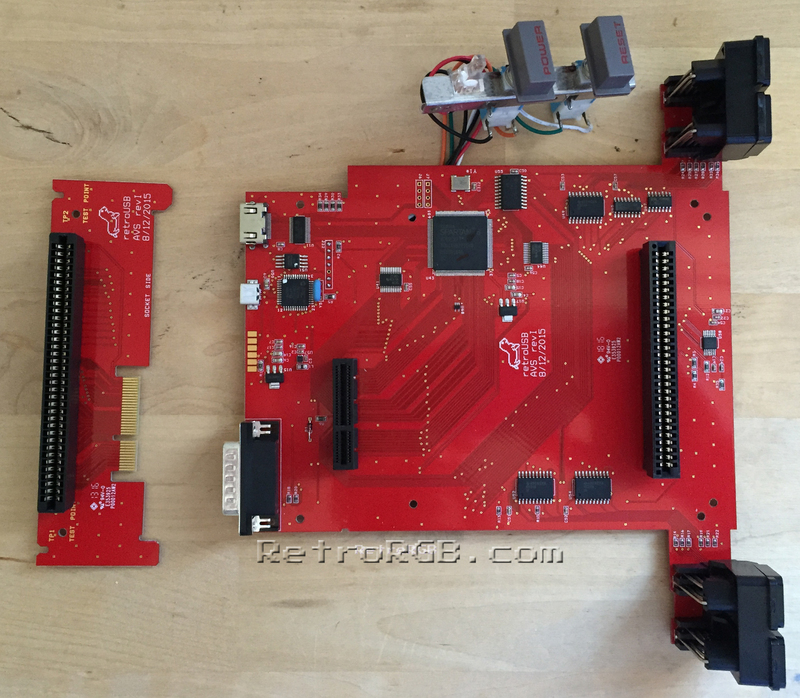 If you want to play on original hardware (nostalgia can be very important), or feel like you’d benefit from the extra features the other solutions provide, then you’ll want to do more research and see exactly what works best for you. 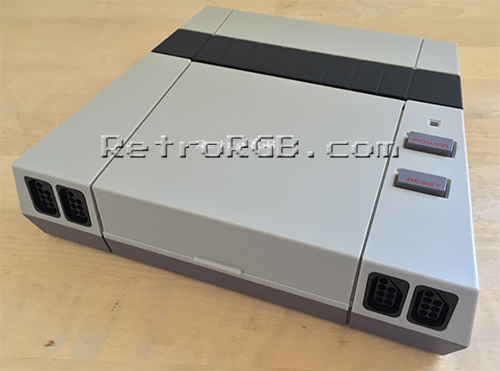 It’s possible that many people will still prefer an RGB-modded NES/Famicom and a Framemeister, for it’s 5x 1080p scaling and other options. That being said, if you want a reasonably-priced solution that will work with you HDTV right out of the box, then this is definitely for you! Nintendo NES Console Bundle lot! Rares! Snow bros, mike tyson, duck tales ect! Super Nintendo SNES Console Complete in Box w/ Donkey Kong Country Very Rare. Nintendo GameCube Limited Edition Platinum Console Pokemon Edition CIB Rare!